Do you ever notice the knot in your stomach? Do you wonder what your digestive system is trying to tell you? Do you hope to someday have an easy cycle? Your belly is a deep reservoir of wonder and for many emotional holdings. This emotional holding can lead to many physical manifestations such as digestive issues, cycle issues, shallow breathing, and other abdominal or pelvic pains. With an integrative approach Moira explores the deep tissues of the belly and pelvis in a gentle yet deep and profound way. Abdominal massage will vary depending on the issue presented. It may include massage to the muscles and fascia of the belly, pelvis, thorax and back. work to the abdominal and pelvic organs, orthopedic massage to sacral structures, working with blood movement through the abdomen. Herbal remedies and other natural products may be suggested to enhance the effect of the treatment and/or may be indicated based on personal history and health care goals. Follow-up care depends on individual goals and results. Typically 3-4 sessions within 3 months time is usually the minimal sessions needed to see effective results. This work is a partnership, we will work together to ensure your individual health care goals. This partnership requires your active participation in your health though self care tools, dietary and lifestyle changes. If you do not feel that you can fully participate in this partnership then this may not be the right mode of bodywork for you. When should I NOT receive Abdominal Massage? Contraindications to this treatment: Massage over the uterus is not recommended during menses or where an IUD is present. Massage over the rest of the abdomen is not recommended immediately after abdominal surgery, or if an active inflammation, infection, or cancer is present. The Arvigo Techniques of Maya Abdominal Massage TM are founded on the ancient Mayan technique of abdominal massage which is an external non invasive manipulation that repositions internal organs of the belly and pelvis that have shifted, thereby restricting the flow of blood, lymph, nerve and chi. Thai Abdominal Massage - Stimulate detoxification of digestive organs and working with the deeper layers of the blood and organs to stimulate flow and health. Myofascial Release - Softening of the connective fascia of the torso, belly, and pelvis, as well as reducing restriction from scars and abdominal adhesions. 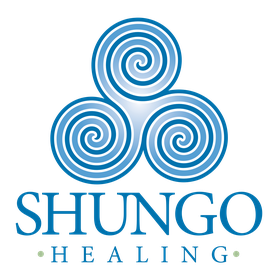 The Arvigo Techniques of Maya Abdominal TherapyTM (ATMAT) combine modern science with traditional healing and wisdom to produce a holistic path to physical, emotional and spiritual well-being. It is a non-invasive, external, massage that guides internal abdominal organs into their proper position and aligns the structures of the hip and sacrum to allow for optimum health and well-being.